Montreal-born Jean-Paul Riopelle (1923-2002) and his fellow-painter Paul-Emile Borduas founded the “Automatisme” group to challenge the academic style then dominant in Canada with their 1948 manifesto “Refus Global”. Working in Paris, New York and Canada, Riopelle belongs to Lyrical Abstraction: inspired by the vital force of nature, his thickly-painted, highly-coloured work expresses an initial violence, underscored by the use of spatulas and palette-knives, contained by his geometrical composition. 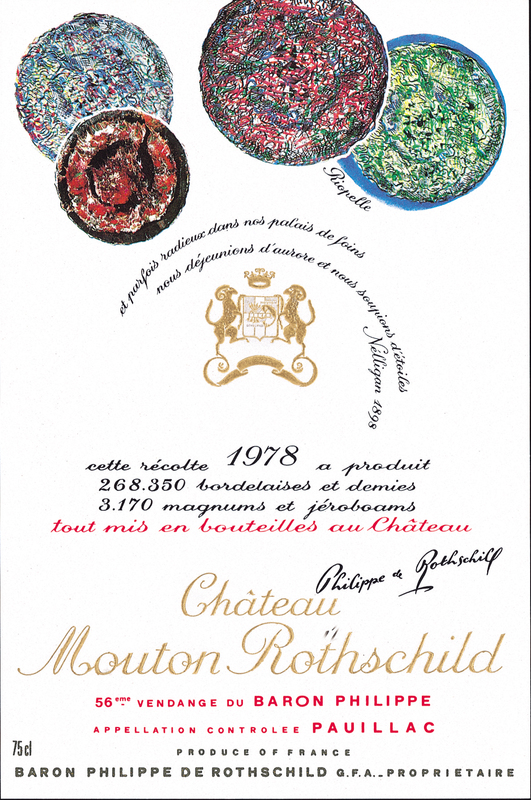 For the 1978 Mouton Rothschild label, Riopelle prepared two designs: it was impossible to choose between them, and each was therefore used for half the vintage.